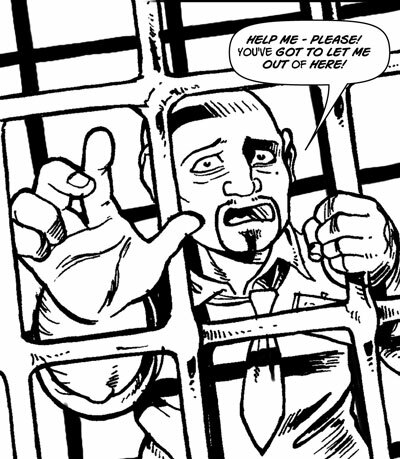 From the minds of writer Lee Robson and Bryan Coyle; Babble is an original GN published by Com.X. This link should cover all you need to know about getting hold of a copy for yourself. On a personal note I can tell you that Lee has written more than 20 stories that I have published, and is one of the few writers I would consider capable of ‘writing to order’ when the need arises. Bryan has completed over 100 pages of artwork for me and has proven himself time and again to be a ‘go to’ man for artwork. Lee has been promoting the heck out of this for a while now, and I am writing this while my copy downloads from Comixology, I don’t doubt I’m in for a treat when I read this tonight. 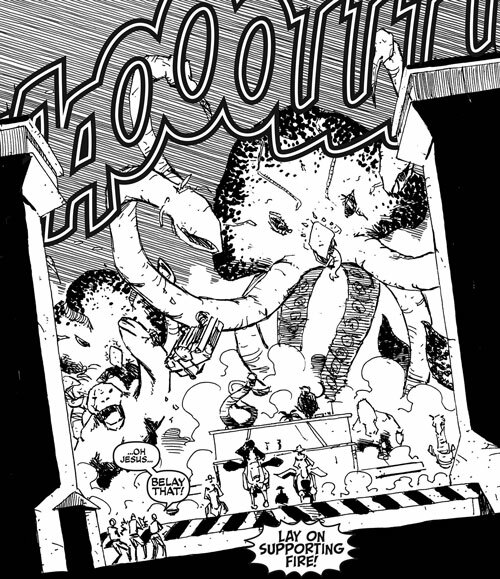 Originally appearing in Zarjaz 10 and 14, the Saga of FLESH reaches its conclusion in EXTINCTIONVILLE by MJ Howard and Chris Geary. Appearing soon in Zarjaz 17. Coming soon to FQP, CAT NAP is by Lawrence Conquest and James Feist. What does that have to do with the image above? Well, that would be telling. 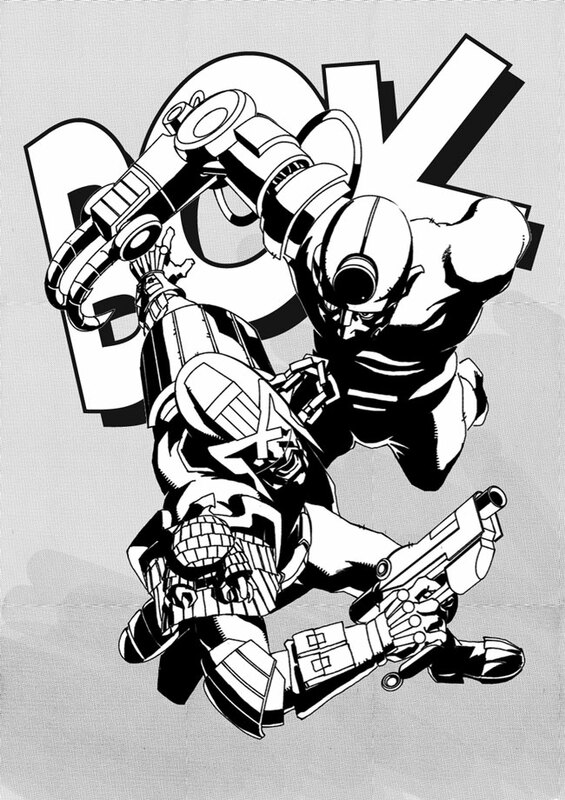 Coming soon to the pages of Zarjaz 17, Judge Dredd- All the Wrong Moves by James A Short and Alex Paterson. Zarjaz 17 is on sale in March 2013. It’s time for this months release from the GCC archive. 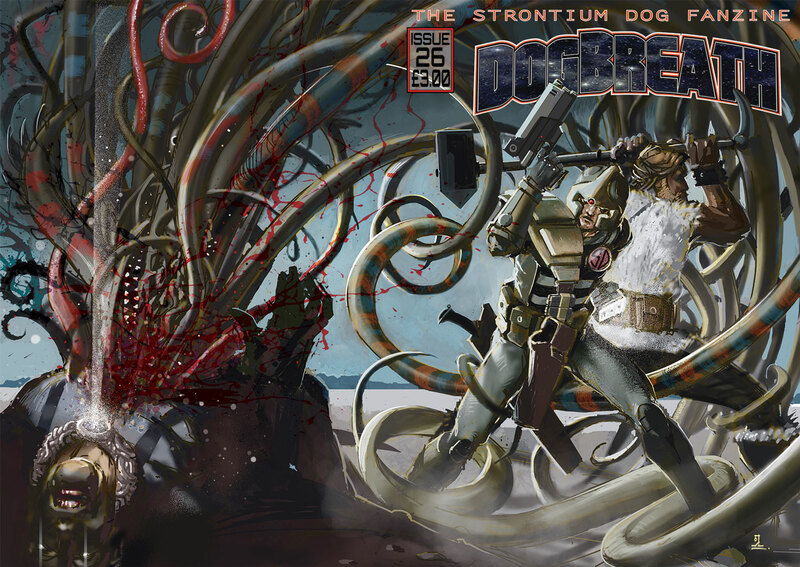 This month sees the release of Dogbreath 08 from the Dogbreath Archive. 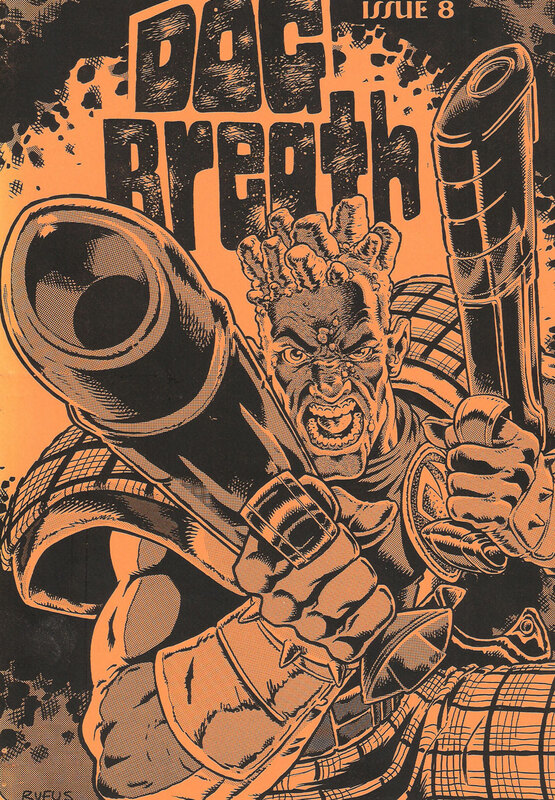 Dogbreath 08 boasts a cover featuring Middenface McNulty by Rufus Dayglo as well as contributions from Dr Bob, Jake howard, Bruce McLarenIan Millstead, Gary Simpson, Ian Ward, Eric Moore, Barry Renshaw and others.